We are being contacted by members and supporters concerned with the misrepresentation of the campaign for Palestinian human rights by media and public figures. In the past few weeks and months there has been increasing discussion of antisemitism. It is important that we set out the campaign for Palestinian rights is an anti-racist campaign, and that any attempt to connect or conflate antisemitism with the campaign for the rights of the Palestinian people is wrong, misleading and harmful. Our aims set out that ours is a campaign based on the principles of peace, justice and international law. It may be useful to refer to Palestine Solidarity Campaign’s statement on the attack on Palestinian rights and boycott, divestment and sanctions campaign. Why does Palestine Solidarity Campaign focus on Palestinian human rights? Many Palestinians live under military occupation; others are living as refugees, barred from returning to their homeland; others live in Israel as second class citizens. None have the rights we take for granted. We are campaigning for all Palestinians to enjoy the same basic rights to live in peace and freedom that we ourselves have – rights that all humans should be able to exercise. Palestine Solidarity Campaign was set up in 1982 specifically to campaign for Palestinian human rights. We are the biggest campaigning organisation in the UK dedicated to campaign for the rights of Palestinian people. Does Palestine Solidarity Campaign oppose antisemitism? Jewish people have suffered many centuries of persecution in Britain, Europe and elsewhere. It is vital that we stand against antisemitism and all racism. As an anti-racist organisation, we abhor racism directed at any group. Antisemitism – hatred of or discrimination against Jewish people on the basis of their religion or ethnicity – must be challenged wherever it is found. We encourage political leaders to defend equality for all religious or ethnic groups and to fight racism in all its forms. Is antisemitism the same as anti-Zionism? Antisemitism is hatred or discrimination against Jewish people on the basis of their religion or ethnicity. It must be opposed and defeated. Zionism is a political ideology that seeks to create a Jewish state that privileges Jewish Israelis above Palestinians, and that seeks to establish a permanent Jewish majority. While some seek to define Zionism as the right of Jewish people to self determination, the Zionism of the Israeli state has resulted in the denial of basic human rights to Palestinians. The foundation of the state of Israel in 1948 was accompanied by the forced expulsion of 750,000 Palestinians from their homes and the destruction of approximately 500 Palestinian villages and towns. Zionism, as enacted by the state of Israel, rejects Palestinians’ right of return, their right to self-determination, and their demand for equality. The Israeli state privileges the right of Jewish citizens above Palestinian citizens. More than 50 Israeli laws discriminate on the basis of ethnicity. The racist nature of the Israeli state is unacceptable and must be challenged. To confuse – whether deliberately or otherwise – legitimate criticism of the Israeli Government with antisemitism only serves to undermine the struggle against racism. Why are you concerned about whether or not antisemitism is confused with anti-Zionism? The UK Government has recently made efforts to revive a discredited definition of antisemitism (the EUMC definition) which explicitly incorporates criticisms of Israel within a definition of antisemitism. This has been supported by many of the Israeli government’s defenders in the UK. If adopted, this definition would deny people the right to challenge the racism of the Israeli state – which privileges the rights of Jewish citizens above those of non-Jews. We must protect our right to stand up against the dispossession of a people and to oppose the continuing oppression of Palestinians, whether living in the occupied territories, resident as second class citizens in Israel or living elsewhere as refugees. The racism intrinsic to the state of Israel must be amongst the forms of racist oppression that are opposed globally. We oppose any attempt to limit legitimate debate or to prevent us from campaigning for the Palestinian people being able to access their full political and civil rights. Why do you describe the campaign for Palestinian rights as anti-racist? We believe in equality for all. The Israeli Government subjects Palestinians to discriminatory treatment on the basis of their ethnicity. We want to Palestinians living under occupation, as refugees and Palestinian citizens of Israel to enjoy the same rights as Jewish Israelis. We support Palestine in a framework of human rights and justice, and we campaign for the implementation of international law. Where is your evidence that pro-Palestinian human rights campaigning is under attack? In 2010 an influential Israeli think tank, the Reut Institute, launched a report whose main recommendations have been accepted as policy by the current Israeli Government. The report identified the global boycott divestment and sanctions campaign as the biggest strategic threat to Israel and proposed a process of rebranding BDS activists as racists and extremists. Pro-Israel groups in the UK have taken the strategy forward and found willing allies within the current UK Government. In January of this year, the Government introduced guidance which aims to prevent Councils making procurement or investment decisions based upon companies’ complicity with Israel’s occupation and human rights violations. In 2015 the Board of Deputies of British Jews lobbied to have an international conference at Southampton University on Zionism and International Law closed down. Under pressure the University postponed the conference citing police advice that the safety of attendees could not be guaranteed. Cambridge University was threatened with legal action for allowing a protest in which a mock checkpoint was erected to illustrate the daily realities of life for Palestinians living on the West Bank, on the grounds that to stage such a protest represented an attack upon Jewish students. To conflate antisemitism with the right to challenge the Zionism of the Israeli state is a form of McCarthyism (political suppression) which degrades political discourse, diminishes the fight against racism and undermines free speech and democratic rights. This should be of concern to all of us no matter our faith, ethnicity or political standpoint. We support the Palestinian-led call for a Boycott, Divestment and Sanctions (BDS) campaign which uses effective-yet-peaceful means to pressure Israel to end the occupation and ensure Palestinians have the rights we take for granted. It is civil society holding countries and companies accountable for their actions. Boycott is a tool human rights defenders have used throughout history. It is a non-violent, global and traditional form of protest used to oppose oppression. It is not racist to refuse to buy, decline to invest in or stop supplying goods, arms or services to companies and institutions that are knowingly supporting breaches of human rights and international law. We proudly continue in the tradition of civil and human rights activists before us. If it was good enough for Mahatma Gandhi, Martin Luther King Jr, and Nelson Mandela; boycott is good enough for us. Rather than attack those defending human rights, the UK Government should be challenging Israel for its actions that breach international law. It is not the place of politicians to tell citizens what we can or can’t boycott, nor to limit our freedoms to campaign for equality and justice. The job of the government is to uphold international law – and it is precisely because the government has failed to take any effective action against Israel’s violations of Palestinian human rights that more and more people are joining the campaign for Palestinian rights. We will continue to hold politicians to account for what they say and do to help promote Palestinian rights. We will continue to campaign for full rights of Palestinians and demand our right to do so. Isn’t there too much focus on Israel and not enough on other countries that deny human rights? We support human rights and international law. Just as there are campaigns focused on other human rights issues, we are dedicated to campaigning in solidarity with Palestinians who have asked for the support of citizens around the world. Judged by the actions of their governments over many years, Israel isn’t interested in peace. 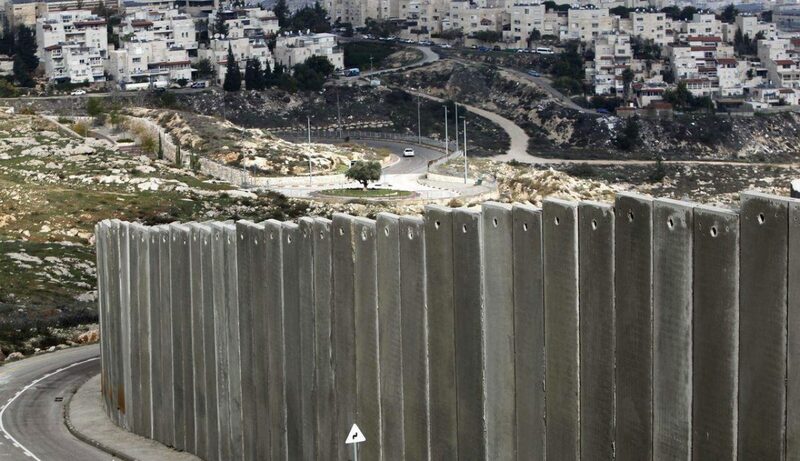 By erecting more and more settlements on Palestinian land it is in the process of building Palestine out of existence. The situation is urgent and deteriorating. Our government is not only ineffective in opposing Israel’s human rights abuses, but by allowing financial links between Israel’s illegal settlement colonies and British businesses, it is complicit in these breaches. By blocking and attacking the rights of British people to support Palestinians’ peaceful call for Boycott, Divestment and Sanctions, the Government is assisting Israel in its crimes. It is not only our right to boycott those who aid and abet this occupation and colonisation of Palestine – it is our duty. Sorry but its all a copout by the oppressors. Obviously human beings want to see justice for a grave injustice and they scream “anti semite” to that.